Looks to me uBlock Origin is way out of date version wise and cant be updated because you need the newest version of firefox and tenfourfox is older. Anything you can suggest that's low on ram like this uBlock? 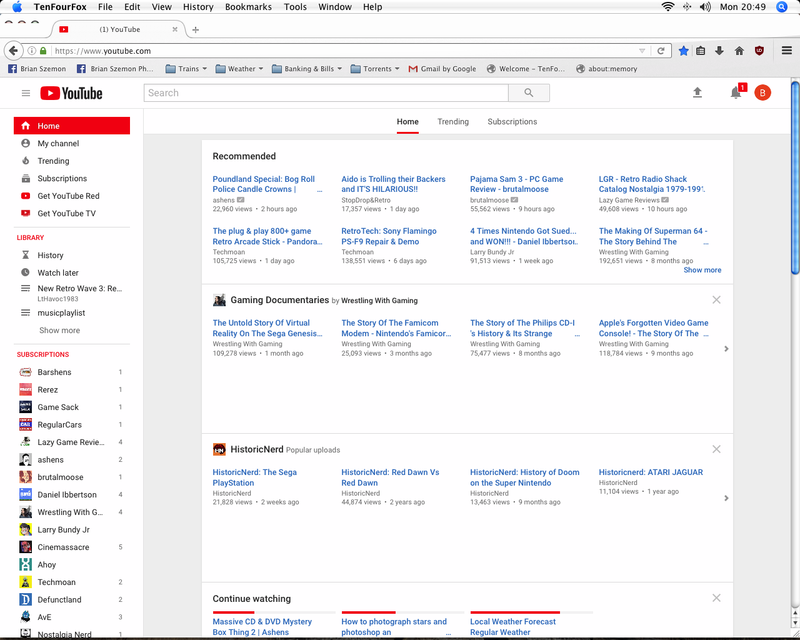 By the way youtube is very weird with the ad blocker turned on. I'm having difficulty finding any ad blocker that doesn't require a new version of firefox. What has mozilla changed in the new version that's so different from the version you use to build TFF? The problem is WebExtensions -- we just don't have most of the APIs required to support later addons. It would be a huge undertaking for a big reduction in functionality. Is the problem possibly that it can't update its block list? I use Bluhell Firewall myself. Thanks for the response I will check out Bluhell Firewall. Indeed sounds like Firefox is getting more advanced then our old machines can do. Still Thanks for the work put into TFF I only wished Apple stayed with PPC instead of selling us overpriced PC's.